Wow…I can not believe it!!! I did it!!! I really, really did it!! I finished all my Christmas cards and just in time too, because we are headed over to my good friends house for Christmas Eve dinner. YEAH!!! I am really excited for another reason as well!!! I completed all the sketches for SFYTT 2012!!!! This is my December card as well as a preview to all the other cards I created with these amazing sketches. It is also a sad good bye to SFYTT. It has been a wonderful challenge for me to commit to. At time it was a struggle to find the time, but when I did I was happy to always get my submission in. Jen, thank you for all your hard work and amazing inspiration. I will miss SFYTT. Love how you embossed the three background papers for the layout you used - very cool. Thanks so much for joining us this week at the Stamptacular Sunday Challenge. Very nice take on the sketch. Love the embossing. Thank you so very much for playing with us in Emboss Me! 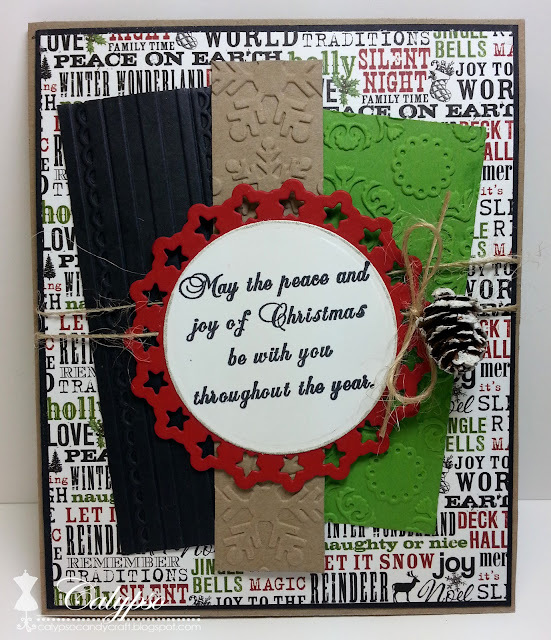 Challenge at Stamptacular Sunday! So happy that you could join us this week.